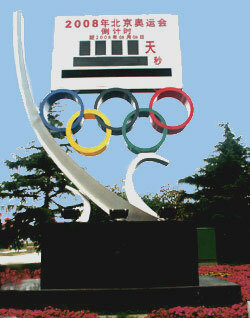 The 2008 Summer Olympics sailing event took place in Qingdao. That Beijing Organizing Committee for the Games of the XXIX Olympiad (BOCOG) selected this “City of Sailing” was not an coincidence. Qingdao is known for its beauty and natural environment by the sea and as Mr Henderson, chairman of the International Sailing Federation, was quoted as saying: "Qingdao is one of the most beautiful cities and is eminently suited to organize the sailing events for the 2008 Olympic Games Beijing. I believe that Qingdao will have Asia´s foremost water sport facility."